Increasing nitrogen (N) deposition has considerable effects on soil organic matter (SOM) decomposition mediated by soil enzyme activities. Few studies, however, have explored how N addition shapes soil enzyme activity patterns by changing plants, soils and microbes. 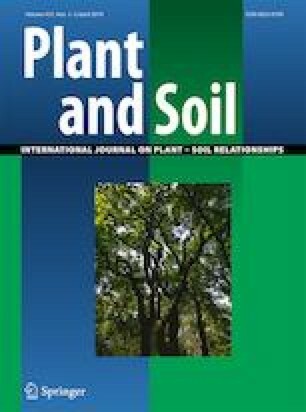 We conducted a five-year field fertilization experiment (0, 5, 10, and 15 g N m−2 yr.−1) to study how N addition affected soil enzyme activity patterns in the topsoil (0–20 cm) and subsoil (20–40 cm) in a Tibetan alpine meadow. Enzyme activity patterns were calculated by the percentage of the sum of all measured enzyme activities. The composition of the plant and microbial communities were evaluated through measuring the abundance of plant functional groups and quantifying microbial phospholipid fatty acids (PLFAs), respectively. Soil pH and available N were also measured. We found that soil N availability primarily controlled plant community composition, but pH controlled the composition of the microbial community, irrespective of soil depth. Soil enzyme activity patterns differed between two soil depths and among N addition rates. Importantly, N addition shaped soil enzyme activity patterns through the changes in soil pH rather than via the composition of the plant and microbial communities. Our findings indicate that N addition can affect components of plant-soil system and, in particular, weaken the linkages between plant and microbial communities and enzyme activity patterns. The work suggests that N enrichment-induced soil acidification plays a key role in SOM decomposition and nutrient cycling in the Tibetan meadow ecosystem. The online version of this article ( https://doi.org/10.1007/s11104-019-04054-5) contains supplementary material, which is available to authorized users. We thank Paolo Nannipieri for valuable comments and assistance in improving this manuscript. This work was supported by National Natural Science Foundation of China (31870435 to S.T.Z) and the National Key Research and Development Program of China (2018YFD0502401 to S.T.Z).